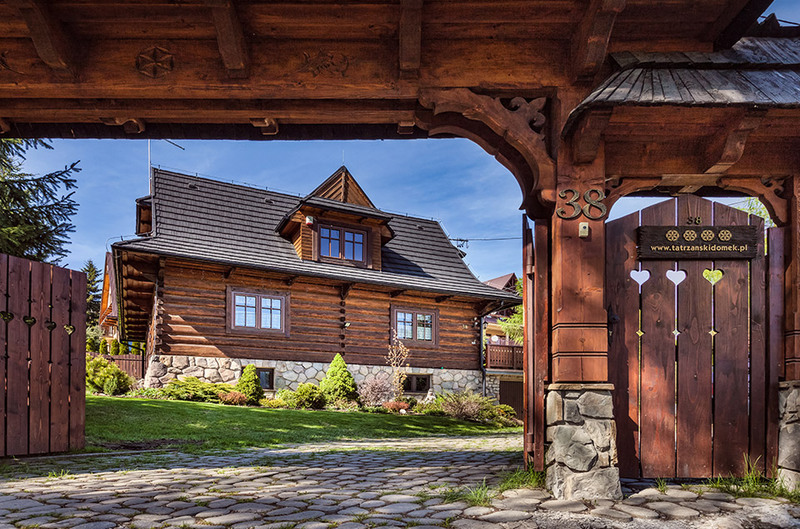 Get away from the crowds, the noise and polluted city air and spend your holidays in Kościelisko, in the heart of the Polish mountain region, Podhale. 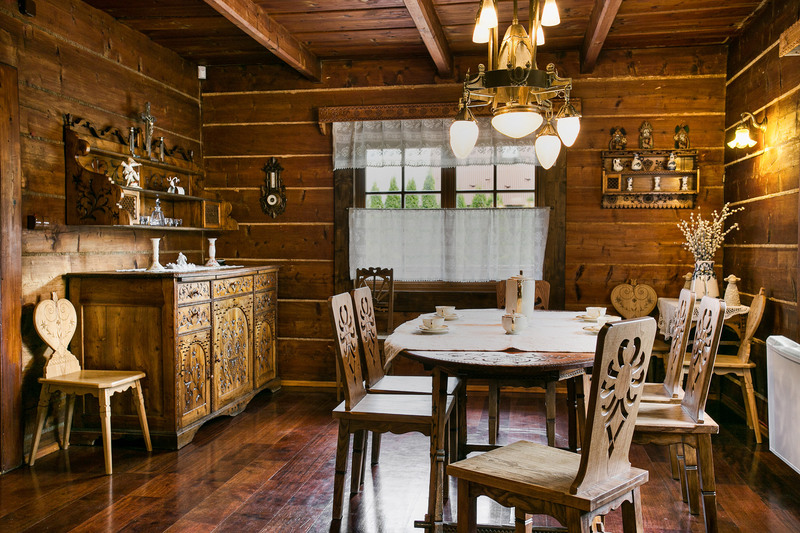 This 250-square-meter log house, situated at the height of 900 meters, with a breathtaking view of the Tatra Mountains, is equipped with authentic furniture from the beginning of the 20th century and offers everything you need for an enjoyable stay: a lot of space, comfortable bedrooms and bathrooms, steam room, fireplace, playground, barbeque spot, parking space and wi-fi access. The 14-square-meter kitchen is equipped with an electric cooktop, oven, microwave, fridge, dishwasher, espresso maker and an electric kettle, as well as complete kitchenware and tableware, pots, pans and other cooking utensils, towels, garbage bags, dishwashing liquid, dishwasher tablets and a baby high chair. Guests are welcome to cook their own meals, as meals are not included in the price. 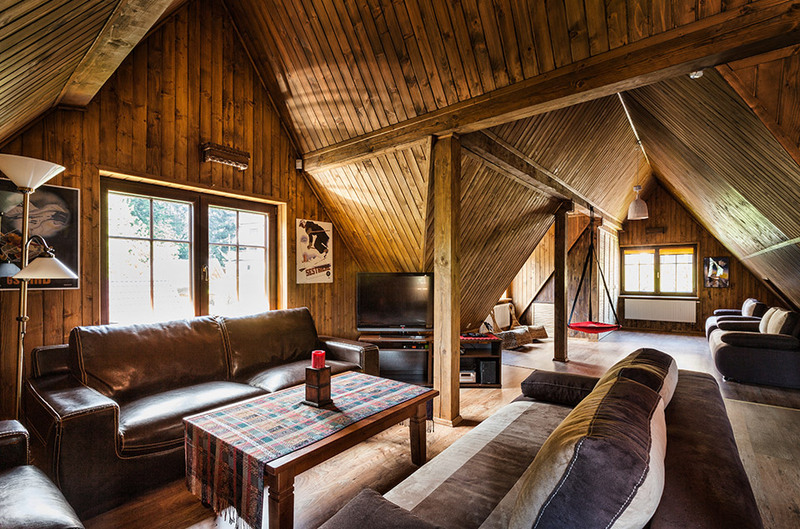 The living room features a fireplace. Unlimited firewood is provided with no additional charge. During the Christmas and Easter season the house is decorated. Guests who wish to enjoy a Christmas or Easter meal in the house are provided with holiday tablecloths and fine china dinnerware. There are two bedrooms on the 1st floor. 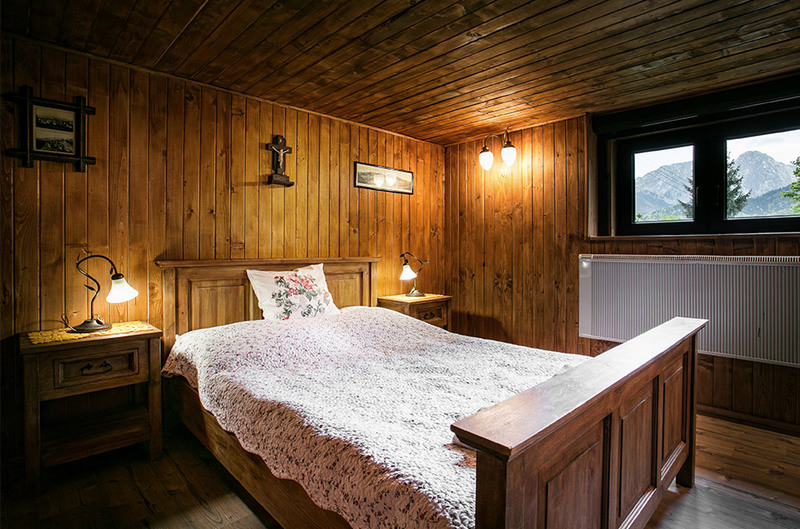 The one shown in the photo, with a space of 17 square meters, is situated next to the kitchen and features one double bed. Fresh bedding is provided in all bedrooms.